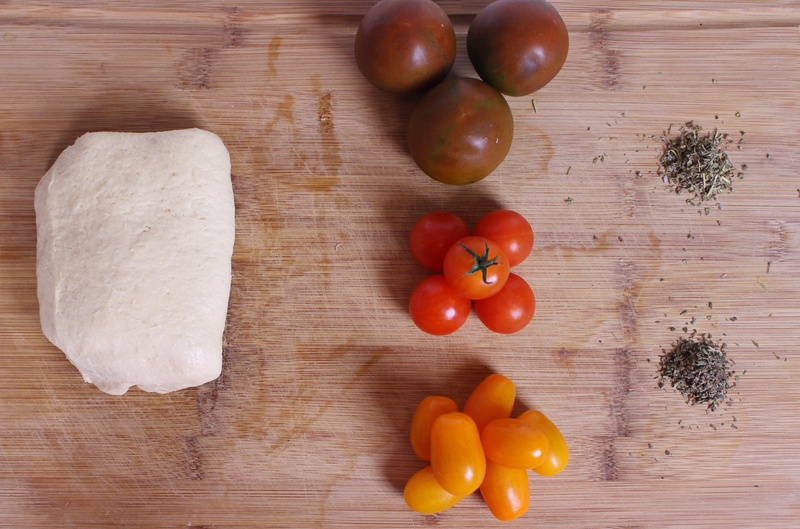 Today I bring a delicious end of summer beginning of autumn dish. 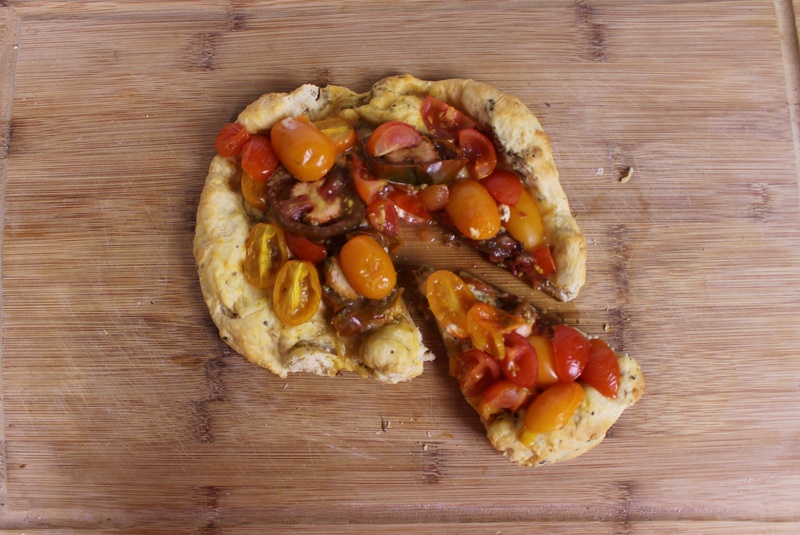 A tomato tart. Note, I use the term tart rather loosely. In this case it’s pastry with a topping, some might call that a tart like myself, others may call it a pie, crustini, pizza (without sauce), foccacia and more. 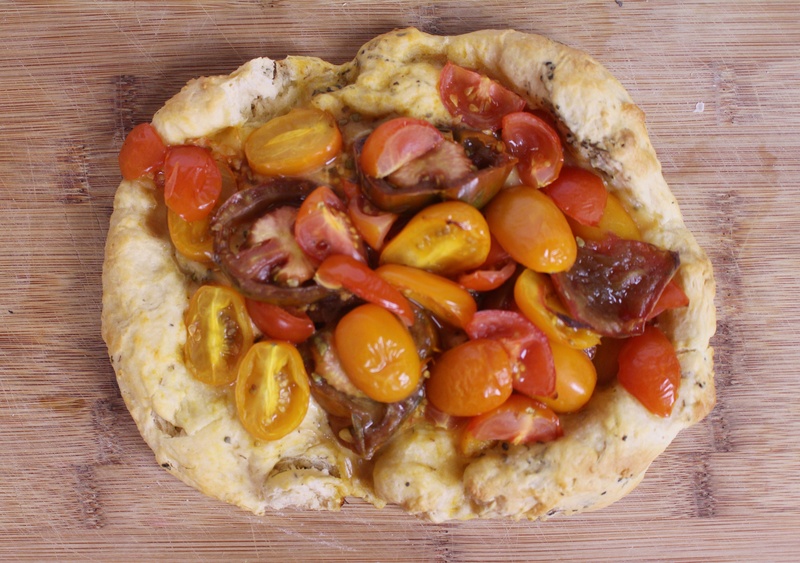 Regardless, it’s a delicious dish combining naughty flour-ey goodness with clean fresh produce. For this tart I used a mix of tomatoes which not only lent to the taste but made it look that much more “instagrammable”, yes that IS a word. I used small red tomatoes on the vine, yellow mini plum tomatoes and the beautiful kamato tomatoes(thde brown-green ones). I cheated a bit by using ready made frozen pastry. This took some effort out of the process for sure. 2) Pastry– I used Pilsbury croissant pastry which came as a square sheet of dough. 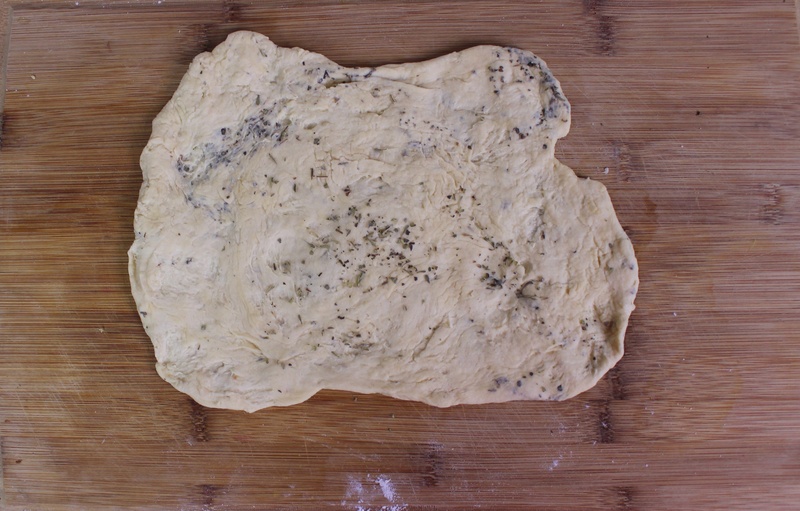 3) Assorted herbs– This is to add to the dough to give a bit of extra flavour. 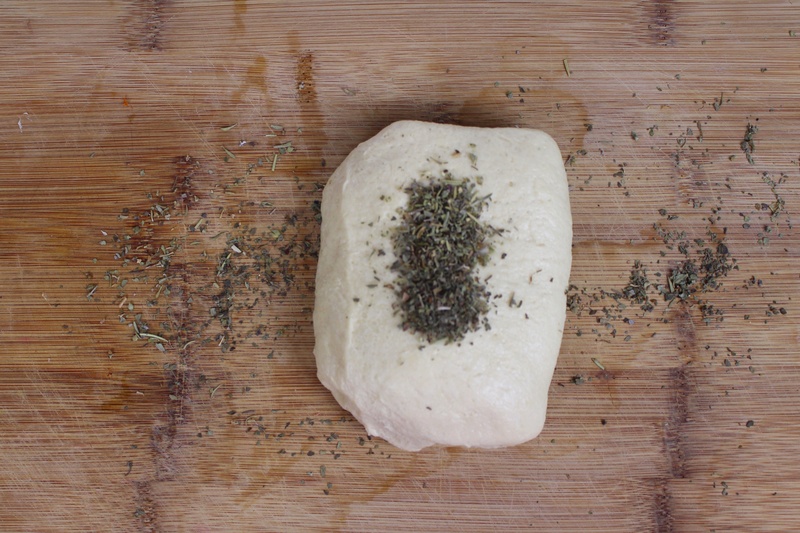 1) Add seasonings to the dough and knead it in. You NEED to KNEAD! 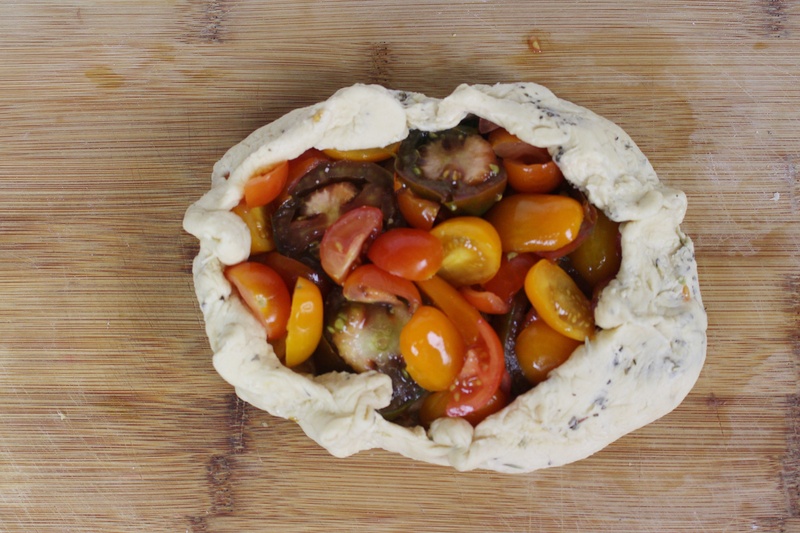 4) Pinch edges to create a bit of a pastry pouch and sprinkle with seasonings and add a bit of olive oil. 5) Bake until dough is golden brown. 6) Slice and it’s ready to be served! This tart is delicious! 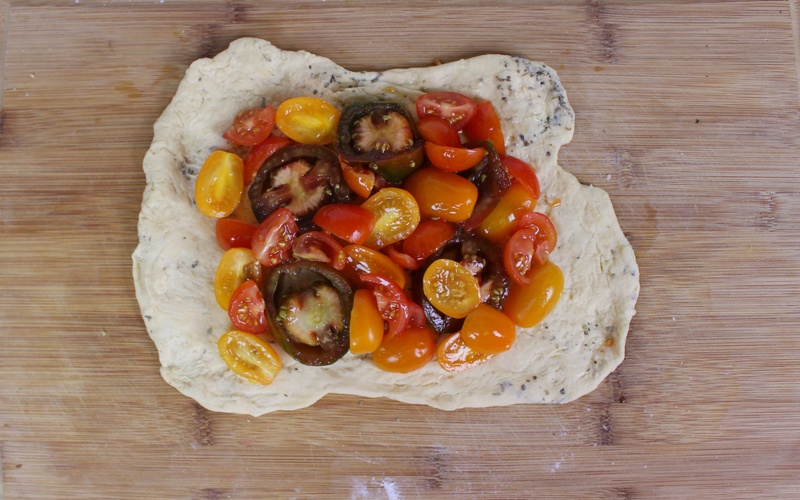 The tomatoes become soft and the juciness intensifies once baked. 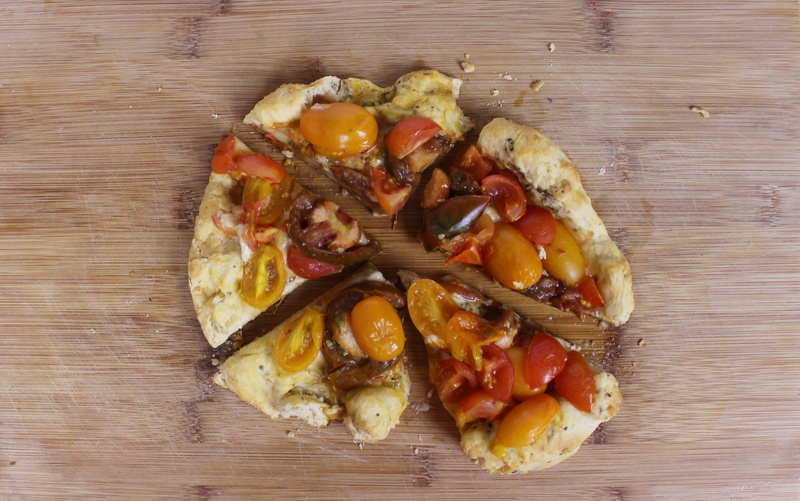 The crust is crispy on the edge and softer in the second centre with the great taste of pastry and herbs. This is a great appetizer for a dinner party or a more bougie (that’s a buzz word now right?) Alternative to pizza for a night of Netflix. Be sure to try it and be sure to have am awesome day!